What are you waiting for? Start looking after your skin now! It is a common misconception that our skin doesn’t need much looking after until the first signs of fatigue appear, especially among women. 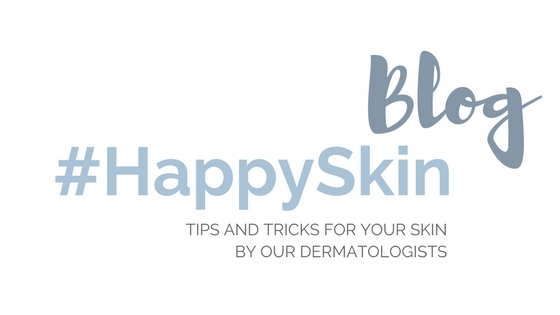 Prevention is fundamental in helping our skin remain toned and hydrated in the long term. 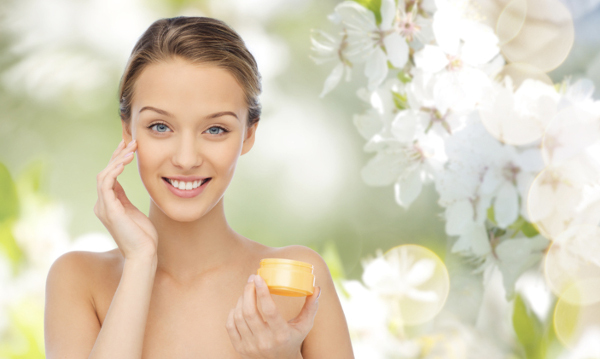 The secret is to find a beauty routine that will prevent the signs of aging. 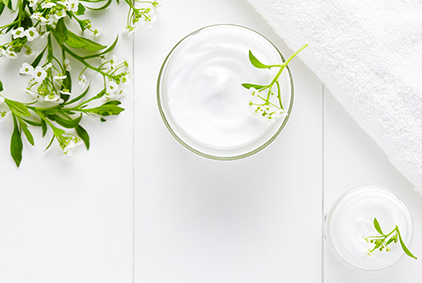 Using an anti-aging cream from a young age does not mean giving in to wrinkles, but anticipating them with plenty of time and giving your face the opportunity to appear fresh and radiant for much longer. 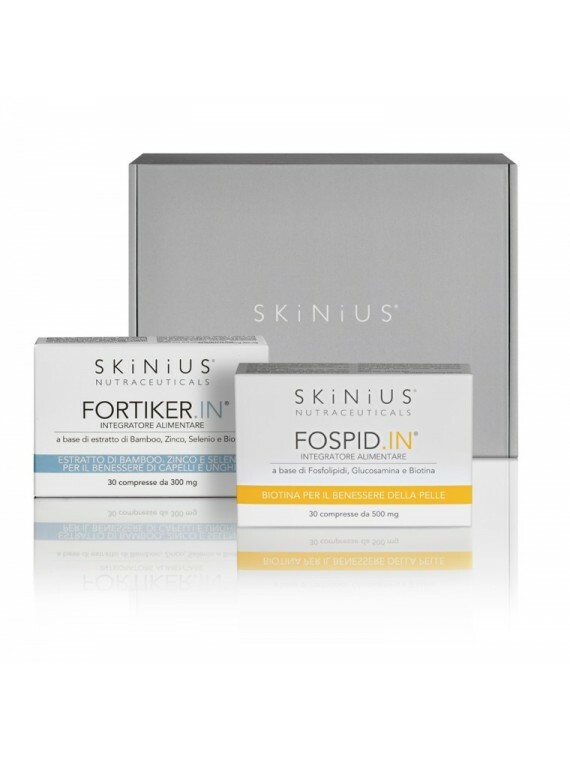 Skinius has created the special Anti-Aging Prime 25+ Beauty Box to teach young women how to properly care for their skin. 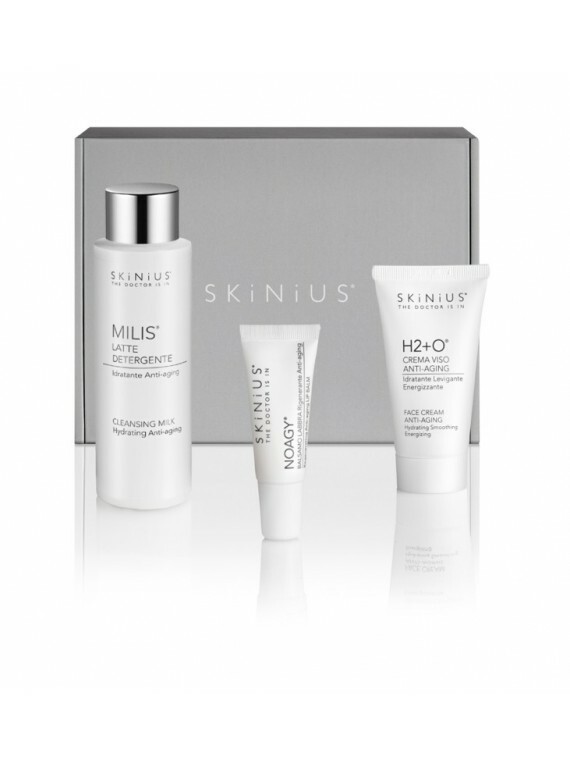 It contains three vital products for daily facial cleansing and hydration. The combined use of DELIKA micellar water, NOAGY lip balm and H2+O anti-aging cream will help to maintain the appearance of your skin. Hydrating and nourishing the skin is the real secret to keeping it healthy and smooth over time. It is important to use products that are delicate, yet powerful enough to perform an effective toning action with anti-aging effects. 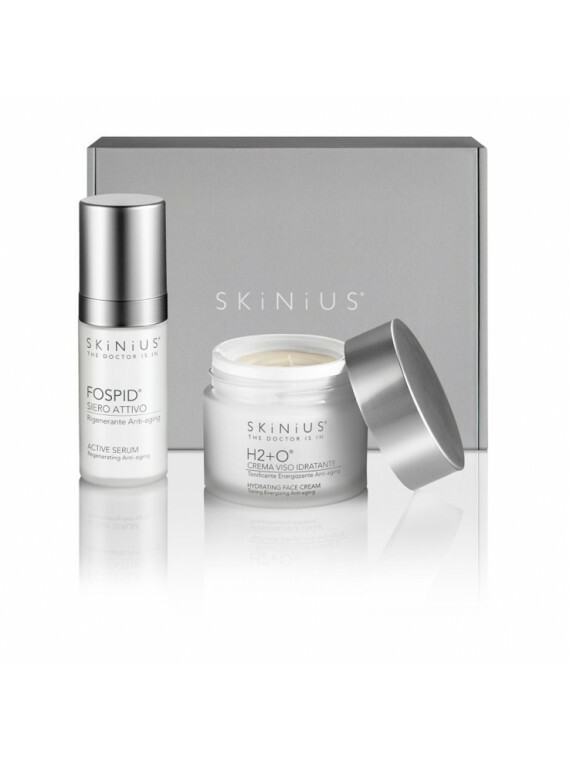 H2+O: the anti-aging face cream with antioxidant effects that provides both superficial and deep hydration. 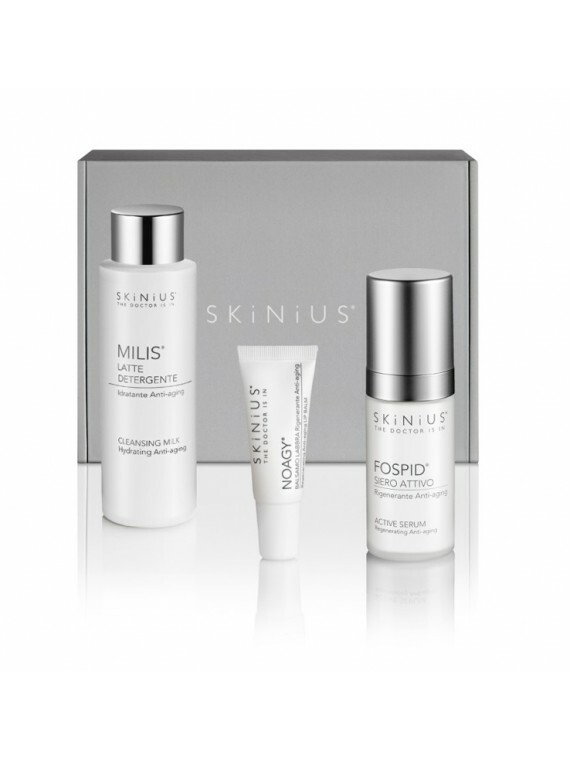 For radiant, compact and smooth skin. It is the ideal face cream for a fresh and cosmopolitan beauty routine that is suitable for sensitive skin. Its delicate formula is rich in antioxidants, making it ideal for combination and oily skin types too. Ideal primer for lipstick. Used in the morning, DELIKA helps to cleanse and illuminate the face, eliminating all traces of impurities; its fragrance, alcohol and soap-free formula makes it suitable for all skin types, even the most sensitive. The toning and cleansing effects of this special micellar water will prepare your face to receive all the benefits of H2+O hydrating cream. Applied morning and evening to cleansed skin, the anti-aging cream hydrates the driest and most sensitive areas of the face, protecting from potentially harmful factors such as smog, cold, environmental elements and make-up. Care for your lips with NOAGY lip balm, which tackles progressive collagen loss for softer and more hydrated lips. 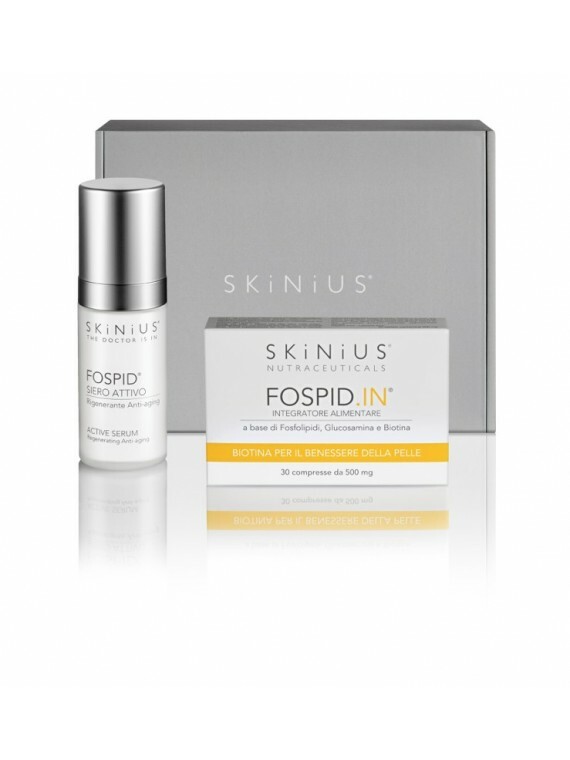 The formula contains SPF to provide the right protection during summer in the city. Its texture also makes it the perfect primer for lipstick and ideal for nourishing the lip contour area too. Users of DELIKA micellar water know they have chosen a product that will effectively eliminate make-up and impurities. For optimum results, just dampen a cotton pad with Delika and cleanse face, holding the cotton pad for a few extra minutes on your eyes to tackle the toughest make-up and tone the periorbital area. NOAGY lip balm can be easily dabbed on with your ring finger. 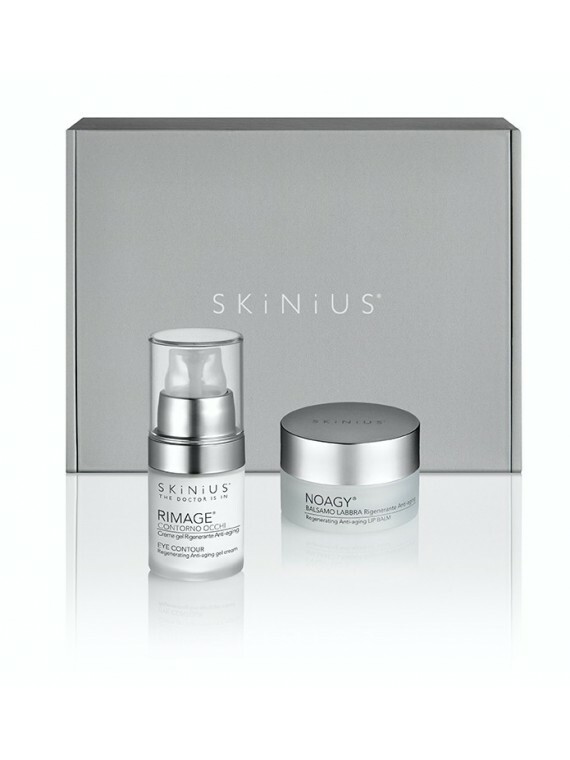 Further demonstrating its powerful nourishing and hydrating effects, Noagy can also be used around the nose, in other areas affected by particularly dry skin and even to define the eyebrows. The final part of your skin care routine is applying H2+O face cream morning and/or evening with gentle circular movements until completely absorbed. Its highly hydrating, yet light and non-greasy texture make this anti-aging cream ideal as a primer too.